Alex Andrade is no stranger to the restaurant world. Andrade’s mother, Denise Landry, owns Landry’s Café in Lafayette and he comes from a long line of culinary entrepreneurs. 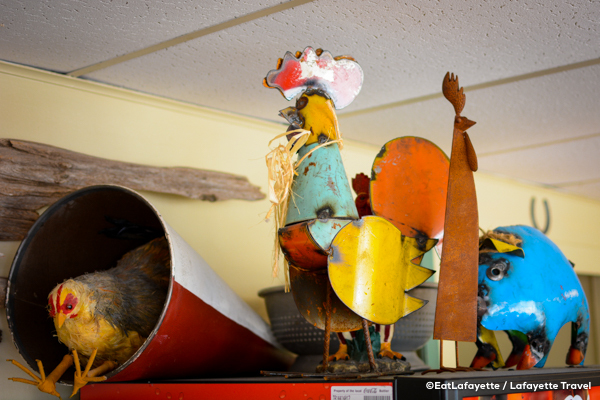 So when he considered opening a business, he chose a casual fun eatery called Rusted Rooster at 105 St. Landry St. in downtown Lafayette. “I wanted to create an experience that was both a down home and comfortable atmosphere, serving breakfast and lunch classics with a twist,” Andrade said. He originally considered starting a gourmet food truck business but ended up finding a small but convenient location opposite City Hall that’s close to both downtown and the University of Louisiana at Lafayette. The rustic, laid back café only serves breakfast and lunch on weekdays, to allow for the owner to have adequate time with his family. 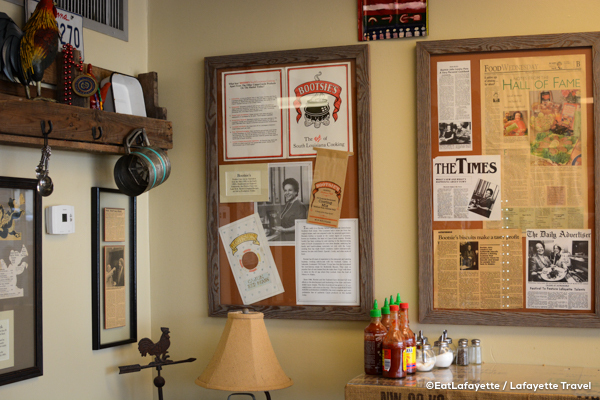 Since opening in 2012, Rusted Rooster has become a hot spot for great breakfast and lunch items, and the restaurant is now known throughout town for its famous fried chicken and biscuits, many times served up as a marriage of the two. 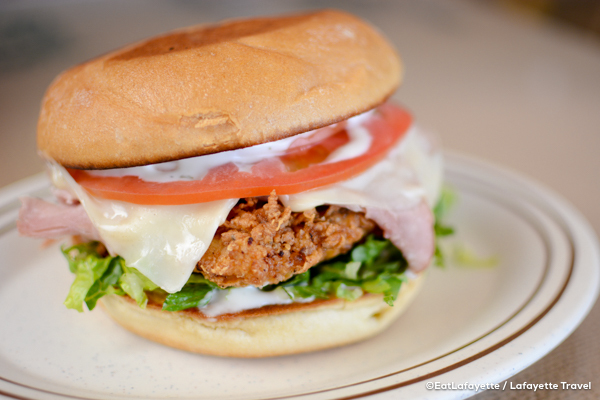 Try the Ragin’ Rooster, for instance, an award-winning piece of fried chicken on a buttermilk biscuit, topped with habanero pepper jelly. Or the “Coullion” sauce which is a homemade pecan-praline glaze. 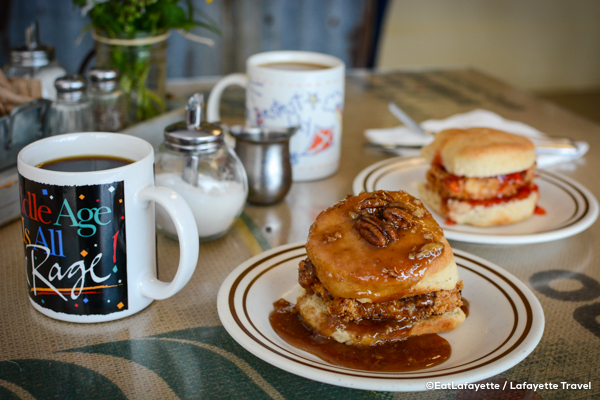 For a traditional breakfast with a Louisiana twist, there’s the “Seasonal Cow Island” biscuit, two fried eggs on an open-faced biscuit that’s topped with the Rusted Rooster’s homemade crawfish étouffée. 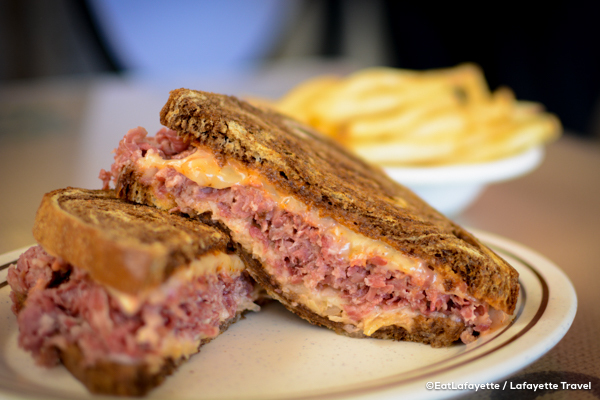 For lunch, the hand-battered fried chicken makes for a perfect culinary palette for a variety of what the owner calls “badass toppings.” Another of the café’s most popular items is the Zerben, a Louisiana version of the Reuben sandwich, named for Andrade’s grandfather-in-law, Zerben Bienvenu. Those amazing biscuits, by the way, are also a family legacy, created from a recipe by Andrade’s “Grandmother Bootsie,” another culinary entrepreneur who used to sell cooking mixes nationwide. 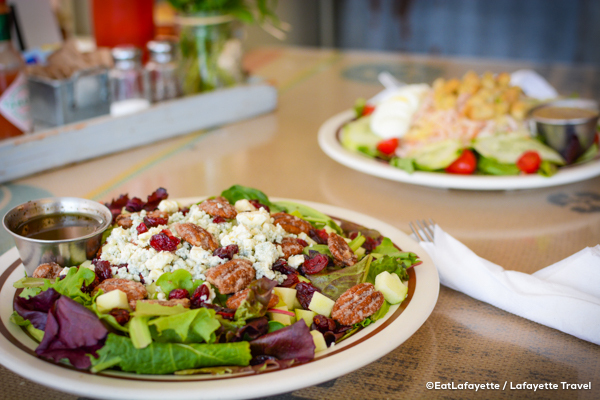 Rusted Rooster is more than a neighborhood eatery. It’s truly a community affair. When one of the restaurant’s regulars was diagnosed with leukemia and heading to Houston for treatment at M.D. Anderson Cancer Center, the restaurant rallied and dedicated a day where proceeds were donated towards his medical expenses. In true Lafayette fashion, the community responded in kind. The restaurant isn’t large, seating about 30 inside and 20 outside, but if there’s a wait, it’s worth every minute. 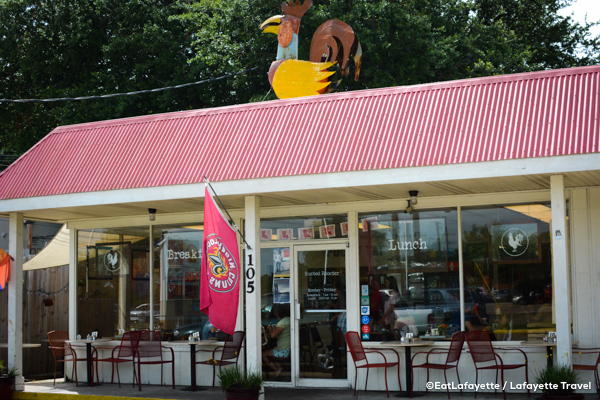 And even though the Rusted Rooster is a small eatery, it’s easy to find-a metal rooster perches on top of the café’s roof. We’re sure he’s up there rusting. Breakfast is served from 7 a.m. to 10:30 a.m. Monday through Friday and then lunch takes over from 10:30 a.m. until 2 p.m. Watch the Rusted Rooster’s Facebook and Instagram pages for specials and an occasional Saturday opening. Remember those culinary ancestors? 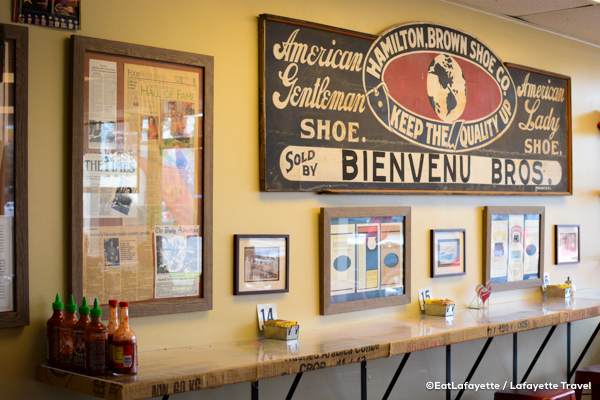 Lining the walls of the small restaurant are photos of family members belonging to the owner plus a marketing sign advertising Bienvenu Brothers that once belonged to Andrade’s father-in-law.